The same could be said of the guitars too! I wanted to create something that celebrates Keith’s career and contribution to rock and roll. The world wouldn’t be the same without him! The Little T&A’s, as we lovingly refer to them, are based loosely, but not too loosely, on his favourite Telecaster guitars. 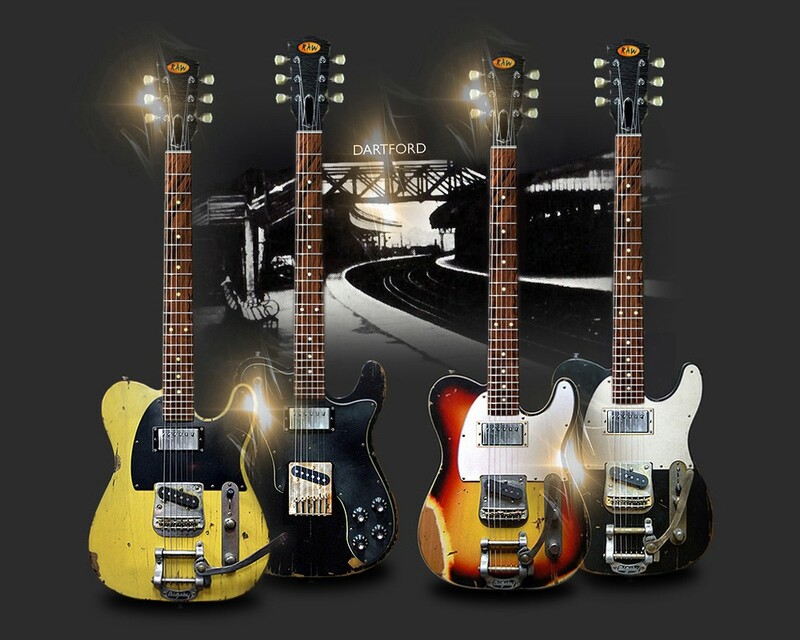 They also reflect his ES-355s in the form of Bigsby vibratos, three-a-side headstocks and 24¾” scaling. Commercially speaking, this brand proposal ticks all the boxes for reasons explained in my article on human perception and guitar sales. I’m really happy how the Little T&A’s turned out! Quotation: Little T&A by Jagger/Richards. © EMI Music Publishing. Design Credit: Fender Custom Shop, Nash Guitars and Rock N’ Roll Relics.